This is Sage’s most comprehensive option. The minimum design fee for a landscape plan is $4,000. The plan will include a detailed drawing of your property with selections for plant material, hardscape materials, outdoor lighting, landscape structures, and details. 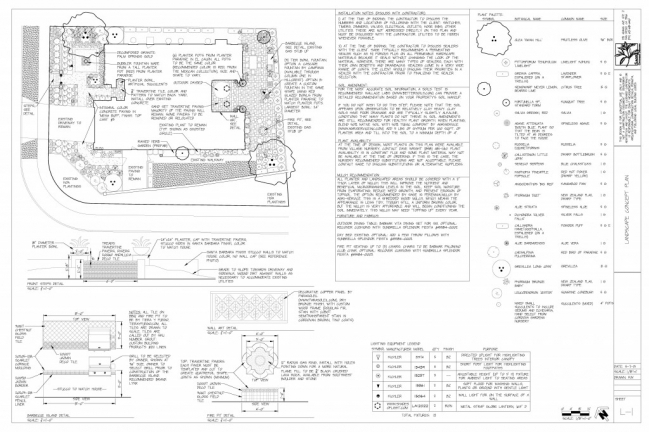 This plan will contain all of the information the contractor will need to build your landscape exactly the way we envision it. This is the right option for you if you are doing a major landscape remodel or are starting from the ground up. The process begins with a complimentary site visit. Once Kate has met with you and discussed the scope of work for your project, she will draw up a detailed proposal laying out all of the steps in the design process and the design fees associated with each step.